FESTIVAL. 'Queen of Hearts' by May el-Toukhy and 'Cold Case Hammarskjöld' had their world premieres at Sundance Film Festival this weekend. Both films are praised by the international reviewers. Over the weekend, Sundance Film Festival in Utah hosted the world premieres on two Danish films. The melodrama 'Queen of Hearts' by May el-Toukhy and the documentary 'Cold Case Hammarskjöld' by Mads Brügger are competing in the categories World Cinema Dramatic and World Cinema Documentary, respectively. Both films were met with acclaim from the international press. 'Queen of Hearts', about the successful and idealistic lawyer Anne who seduces her 17-year-old stepson, was praised, particularly for el-Toukhy's direction and the performances by Trine Dyrholm and Gustav Lind in the leading roles. Anne, a brilliant and dedicated advocacy lawyer specialising in society's most vulnerable, children and young adults, lives what appears to be the picture-perfect life with her doctor-husband, Peter, and their twin daughters. When her estranged teenage stepson, Gustav, moves in with them, Anne's escalating desire leads her down a dangerous rabbit hole which, once exposed, unleashes a sequence of events destined to destroy her world. Screen International describes the film as an "intriguing and smartly sustained drama in which we learn to be wary of those who claim the moral high ground," and further praises the performances: "A steely Dyrholm is effortlessly unflappable and compelling but Lindh holds his ground against such an experienced screen performer." The Hollywood Reporter recognizes el-Toukhy's direction while also praising Dyrholm's performance: "el-Toukhy maintains an impressive grip on the tone of an insidious tale that delineates the transformation of a successful professional woman's personal conduct from supremely self-confident to malevolently manipulative and beyond. […] This is Dyrholm's show and she gives it her all, emotionally and physically, delivering a full account of a woman who does whatever she wants because she believes she can get away with it." Variety compliments the film for the cinematography and music: "There’s a lot to unpack there, but doing so might muddy up the film’s gorgeous, compelling ice-noir surface — so pristinely maintained by Jasper J. Spanning’s fluid, limpid camerawork and the tight string motifs of Jon Ekstrand’s anxious score." 'Cold Case Hammerskjöld' investigates the mysterious death of UN Secretary General Dag Hammarskjöld, who died in a plane crash in 1961. The film has also received praise following its world premiere at Sundance Film Festival. In 1961, United Nations secretary-general Dag Hammarskjöld’s plane mysteriously crashed, leaving no known survivors. It is widely understood that because Hammarskjöld was advocating for Congo’s independence, against the wishes of European mining companies and other powerful entities, the "crash" was an assassination. With the case still unsolved 50-plus years later, Danish journalist, filmmaker, and provocateur Mads Brügger leads an investigation to unearth the truth. 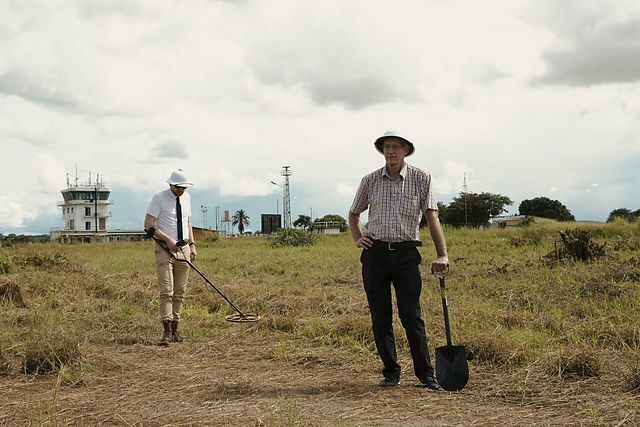 In their A- review, The Film Stage dubs 'Cold Case Hammarskjöld' "essential viewing". "Sitting down for the documentary, I had virtually no knowledge or interest in a Swedish Secretary-General who died over half-a-century ago. By the first half, I was fully invested in the case. At the finale, I was reeling from the atrocities that were uncovered and enraged that it has taken this long to bring them to the surface." Indiewire praises the film in their B+ review, noting that "the seas part and Brügger finds a direct path to the shattering revelation that Africa might be unrecognizably prosperous today if not for Hammarskjöld's death." The Hollywood Reporter notes the ambiguous nature of Brüggers work, but also praises the director's latest documentary as "his most difficult film to categorize and his most accessible. It's definitely Brugger's most satisfyingly unsatisfying effort. A conspiracy-fueled murder mystery with some hilarious meta-commentary on the genre, Cold Case Hammarskjold is either a stunning piece of investigative reporting that builds to a revelatory climax or a wily trickster's dark critique of the audience's desperate need for answers." 'Cold Case Hammarskjöld' also received acclaim in Screen International for its "minding-blowing" discoveries: "Fact proves stranger than fiction, or at least disconcertingly close to it, in 'Cold Case Hammarskjöld', a category-defying investigative documentary that's also a playfully self-reflexive essay on political truth and the difficulty of establishing it." Read the Danish Film Institute's interview with Mads Brügger, by Geoffrey Macnab, on the director's work on the film. 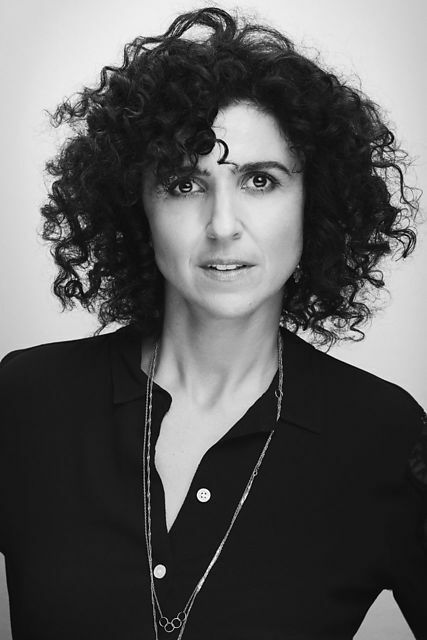 'Queen of Hearts' is directed by May el-Toukhy, who co-wrote the screenplay with Maren Louise Käehne. Caroline Blanco and René Ezra produced the film with support from The Danish Film Institute. After its world premiere at Sundance, 'Queen of Hearts' screens at both Rotterdam and Göteborg Film Festival. Mads Brügger wrote and directed 'Cold Case Hammarskjöld'. Peter Engel produced it with support from The Danish Film Institute. The film is also selected for Göteborg Film Festival, where it will screen shortly after its world premiere at Sundance Film Festival. Journalist, TV host, author, filmmaker. Born 24/6 1972. Brügger has written several books, worked for magazines and newspapers, produced awardwinning radio programmes and hosted critically acclaimed late night TV shows.